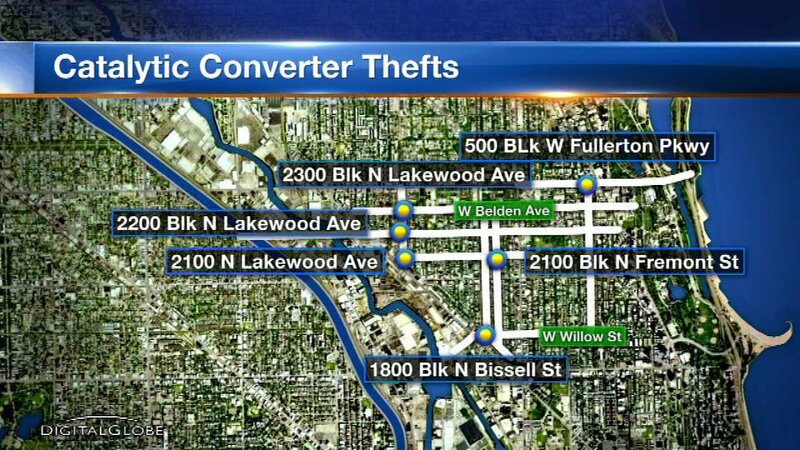 CHICAGO (WLS) -- Chicago police issued a safety alert Sunday after several catalytic converters were cut out of parked cars in the Lincoln Park neighborhood. Six thefts have been reported since August 7, police said. Thieves have primarily targeted Lexus and Honda vehicles. Citizens are asked to keep their cars locked and contact police with any information.